I would love to keep this series going and will be moving it to a monthly post and giveaway! Woo hoo! Kelley sets up this book in a way that is both easy to read and easy to implement. Each chapter is to the point, backed by research (but not too research-y in its tone), and provides quick and effective ways to start changing the work in your classroom to address the needs of girls and boys-- don't be fooled by the name, girls benefit from these strategies, too!! Similar to Teach Like a PIRATE and Comprehension Connections, there are ways to hook your students, keep them engaged, make the abstract concrete, and make sure you are addressing the needs of all learners in your class. But what I loved most about Kelley's book is the extensive research that backs up each of these strategies. We know, as teachers, that good teaching is engaging, out-of-the-box, new, active, and challenging. But sometimes, having the data available during conversations with admin, parents, or other teachers helps to seal the deal when it comes to justifying why it works, not just for you, but for all teachers and learners. Having research at your fingertips for why extensive seatwork doesn't address the needs of your squirrely boys (and girls! ), why hand fidgets and beach balls are a welcome addition in class, and why some of your kids are standing instead of sitting at their desks/tables is such a welcomed life preserver in some conversations. The great part about this book is that it's not only helpful to teachers, but administrators as well. Kelley has not only worked as a teacher, but as a principal, so she's able to wear both hats in this book and it may be a great piece of reading to offer to your school leader if he/she has been interested in your Brain Breaks, PIRATE strategies, or any of the hundreds of tips Kelley offers in this book. I am someone who doesn't like to read research (I was in a doctoral program and dropped after the statistics class- not for me!! ), but I recognize its importance in the educational landscape these days, and I love that Kelley does as well. She addresses the need for teaching strategies that step out of what a "traditional sit and get" classroom may look like, she gives you a very comprehensive list for what some of those strategies are, she backs the need and the strategies with brain-based research, and then gives you some next steps-- in each chapter! It packs a punch and I am just so excited that I had the opportunity to work in her school and that you can now benefit from her know-how as well! If you're interested in learning more about Kelley's work, be sure to head to her website: http://www.boyfriendlyschools.com. And, I am so excited that Kelley has offered to give away a copy of this book to one lucky reader! Just enter via Rafflecopter below and I will announce the winner next Wednesday. Good luck!! Series Button Credits: Scrappin' Doodles, Blair Turner & KG Fonts. Looks like a great book! I love when a book is to the point and gets right to the strategies which work for kids! That sounds like a book I need to read. Thanks for writing about it! How exciting that you personally know the author and can hear her voice in the book - I love it! I've been reading a book this summer on how to help boys as writers in the classroom, and I agree that the ideas contained in every chapter could easily apply to our active girls. Kelley King's book sounds like it would be a wonderful addition to my professional library and knowledge base. The more diversified and creative we can be as teachers will benefit all of our learners. Thanks for sharing this book! You're so right about having research to back you up making difficult conversations easier. I was thinking about that when reading The Daily 5 (as in, "Oh good, this is the information I will cite when talking to an administrator about the program), and I would have loved to have read this book before facing certain meetings and conferences last year. Can't wait to read it, and thanks for sharing! It sounds like this book would help me with motivating active boys and girls. BTW you inspire me, thanks for sharing. Sounds like it is a great book! I think anyone would enjoy it! Looks like a very good book! Thanks for sharing this book. I have added it to my LONG wish list. Hopefully, I can read it soon!! This looks like,a great book study in the making! This looks like a great book! I often talk to my parents about the differences between boys and girls. The research is fascinating. I would love to see how it is put into action! Whether you realize it or not, your blog has set my mind at ease as I transition to third grade this year. Thanks for your comments. And thanks, Stephanie (teacher extraordinaire), for this great review. I'm so happy to know that she felt the balance between theory and practice is just right! If anyone is interested in doing a book study, I actually lead one online with the book! It's like a book study with the author in your group. :) I am starting it on September 9th. Check it out at www.boyfriendlyschools.com. Thanks again and glad to hear that some of you may spring the book on your peeps/principals! I had the opportunity to take the summer course with Kelley based off of the book and it is AMAZING! I only have the electronic copy and I would LOVE the paperback! This is one of the most practical and helpful books I have read in a long time! I would love the opportunity to be more aware of how to teach to the differences among boys. Would definitely share with team and administration. I love professional reading. This book looks like something I would be referencing to improve my teaching. You certainly were so fortunate to work with the author. I really hope I win this book. I'm reading Teach Like a Pirate and Mindset this summer. Hoping to add this to the summer list and get it done in time for September. Love to be able to provide research and data to substantiate what's going in the classroom! Looks great! 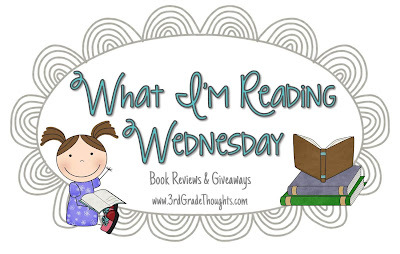 I just added this, Comprehension Connections, and Teach like a Pirate to my to-read list! Would love a copy of this book. I'm a reading specialist and have been working with boys for years to help motivate them in the area of literacy. This book looks like it should be in every teacher's hands. It's so nice to know what other real teachers find helpful. Thanks for always sharing! I am a fairly new teacher and find that any one with experience has plenty of advice to offer me. I am definitely interested in how to think outside the box, especially when it comes to getting boys more engaged in school. Thanks for the awesome giveaway opportunity! It looks like a great book! Can't wait to read it! I am always looking for ways to engage students! Sounds great! This sounds like a great book! I love the idea that it is backed by research, but not too "research-y"! Thanks for the great book recommendation... I know I have an extra squirrel-y group moving up to 3rd this year, I'll be adding this to my PD library. Any book that creatively and effectively helps teachers engage ALL students sounds like a good book to me! I just found your blog yesterday and am so excited! This book looks amazing. Thank you for the chance to win it! This book looks very interesting. I just finished Teaching Like a Pirate and would be interested in the comparison. I am so excited I found your blog because I am new this year to third and excited to find a "mentor" through our wonderful blog world! As a new teacher I am always looking for great Hooks to get the students interests. I love to read your blog. It has helped me start my own and I am so going to try your Math Rotations this year. I am trying to get my team on board too. Once they see how awesome sauce your plans are, I am certain they will want to too!